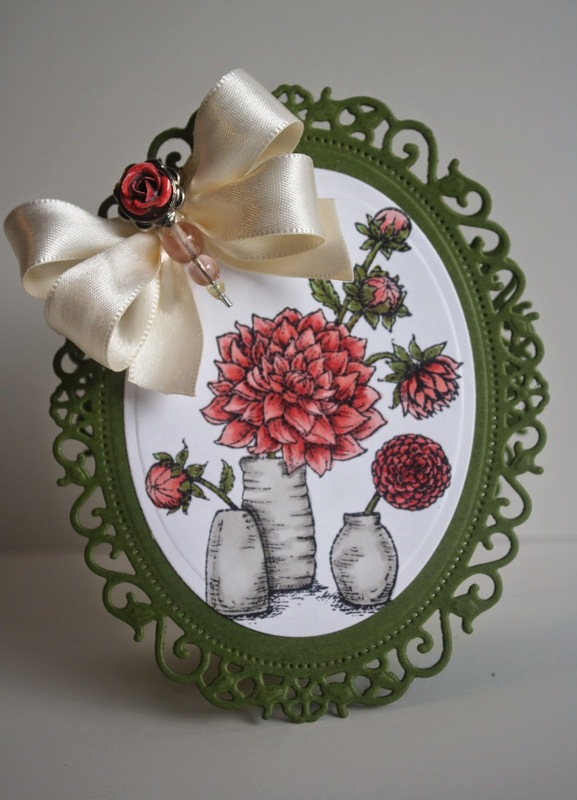 Peonies are one of my favorite flowers and paired with this gorgeous Spellbinders frame--a knockout! If you want to see the supplies I used, go HERE. You can go HERE for more info about the Summer Release Sneak Peek blog hop. Janice your card is fabulous - love the dark green frame! Hi Janice. This is lovely, the frame sets off the flowers beautifully. Take care. Gorgeous! Love shaped card, and love your shading!